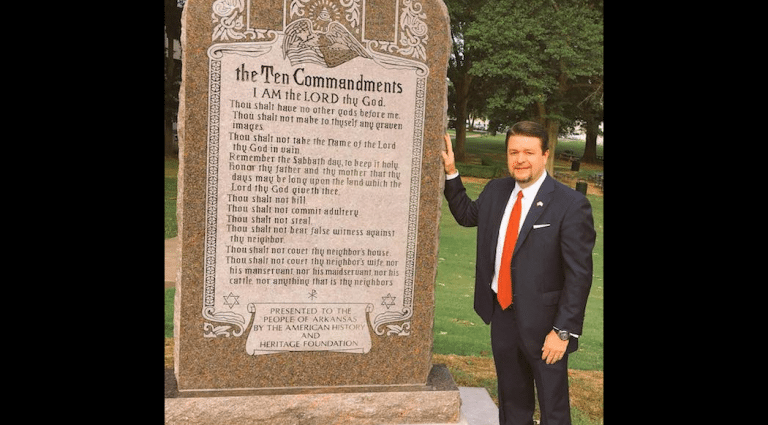 Over the weekend, Arkansas State Sen. Jason Rapert, the man behind the illegal Ten Commandments monument outside the state capitol, updated the GoFundMe page that he’s been using to raise money for the monument… to ask for more money. He did that even though the new monument is already paid for, and even though the producers of the film God’s Not Dead gave a $25,000 donation to build it, and even though it’s possible he had insurance on the original one (that was destroyed) making the fundraiser even less necessary. The update comes after The Satanic Temple announced a protest later this month, and Rapert is saying Christians need to fight back… with cash. 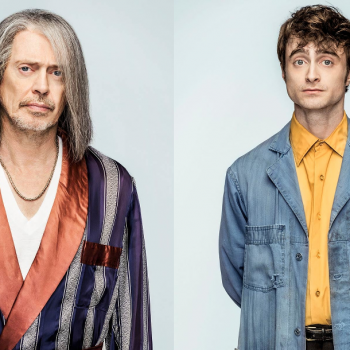 (Against what, I don’t know.) But check out how he lies about the situation. The Satanic Temple is raising money to badger our founder Sen. Jason Rapert and AHHF. You helped us take a stand in 2017 and 2018 — now let’s stand together and get ready to install another monument honoring the Ten Commandments! 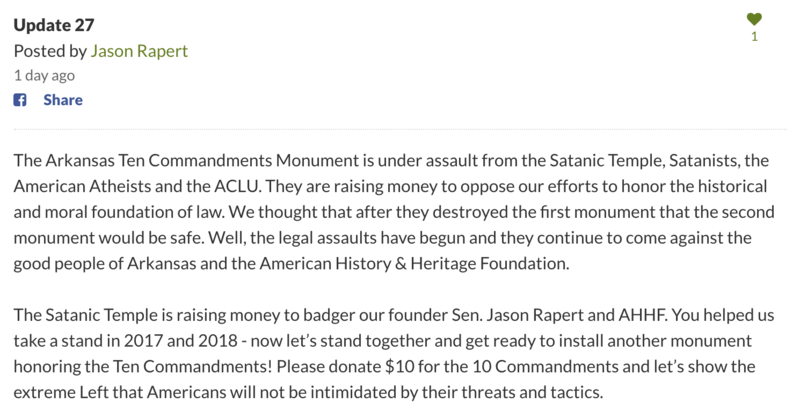 Please donate $10 for the 10 Commandments and let’s show the extreme Left that Americans will not be intimidated by their threats and tactics. Look at how he’s gaslighting everybody. “They” — the Satanists, atheists, and ACLU — did not destroy the first monument. A Christian with mental health problems drove into it. No one told him to do it except the voices in his own head. In fact, many of the critics condemned his actions. Rapert knows this. I’ve literally talked to him about it. But he’s a Christian politician, not a man who tells the truth. So he lies in the name of Jesus. He’s also lying about how Satanists are raising money to “badger” him. No they’re not. This isn’t about him. They’re staging a peaceful protest against a violation of church/state separation. It’s that simple. If and when our side wins this battle, it’ll happen in the courts because the judges understand the First Amendment better than Rapert does. Back to the original concern, though: Where the hell is all this money going? Rapert didn’t need more money for his monument. Why is he now trying to raise $100,000? 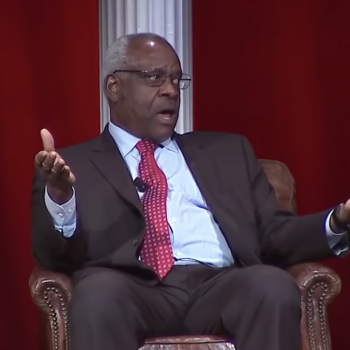 He says it’s going to the American Faith and Heritage Foundation, but what do they do? Rapert said on Twitter the plan was to erect many monuments in other states, but if you go to the AFHF’s website, it says, “To support our efforts to re-build the monument, please consider making a donation here”… suggesting that the money is just for that single monument. Max Brantley of the Arkansas Times tried to ask Rapert directly about where this money is going, but he couldn’t get a straight answer. Indeed, fund-raising continues on Go Fund Me though the amount raised is well in excess of what’s been spent in Arkansas. That particular link doesn’t provide information that more monuments are planned. Nor would he answer my question about finances of the group, which is registered as a nonprofit with the state, but has no records on file with the IRS as a 501c3 nonprofit. Rapert DOES have a 501c3 nonprofit, his Holy Ghost Ministries, another organization for which he’s resisted an accounting beyond that required on tax filings. 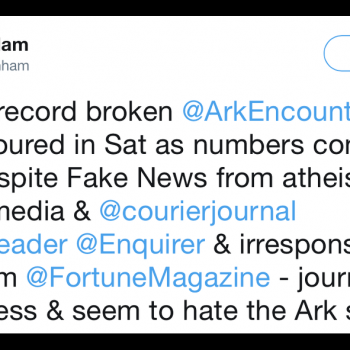 Just this week, Rapert’s “murky” finances drew attention in an article on Patheos, a website that covers religious topics. 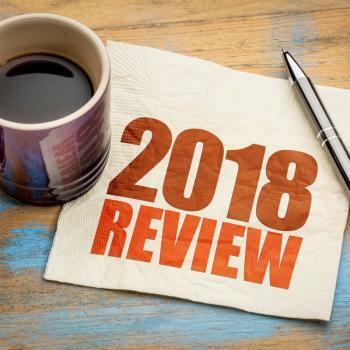 It notes Rapert’s multiple fund-raising organizations, the excess fund-raising for the monument, the lack of information about monument financing and lack of disclosure about where that money went. It noted, too, a sudden surge in income for Holy Ghost Ministries in 2016. The article raises the question of whether Rapert’s ministry had somehow benefitted from his efforts on behalf of the monument. Who knows? But it’s certainly kept his name in the news. The fact is: A politician is raising money for a monument — even though no money is needed — and he’s not telling people where it’s going. It’s shady as hell. No wonder the Arkansas Democratic Party played a video at a meeting Saturday night mocking him. They asked several people to vote on which Republican was worse: Rapert or Donald Trump. When people laugh at you because you’re even more of a hot mess than Trump, it’s time to rethink your life. Unless you’re Jason Rapert and see all forms of criticism as a badge of honor because you’re incapable of self-reflection.